Should you supplement with Vitamin K? Discover the anti-aging effects of Vitamin K2. Vitamin K might be a forgotten vitamin, yet it is one of the most important nutrients you'll ever learn about. Despite Vitamin K's role in blood clotting (and a concern for those taking blood thinning medications), I recently pulled it out from the back of the mental closet and it’s now one of the vitamins I’m now most excited about for its whole-body health benefits. Vitamin K is a fat-soluble nutrient that comes in a number of forms such as phylloquinone (K1) and menaquinone (K2). The different forms of vitamin K affect their availability to different body tissues -giving them overlapping, yet differing effects on the body. The majority of Americans are vitamin K deficient, especially in the menaquinone (K2) variety which is found in foods such as natto (fermented soybeans) that are not eaten regularly in an American diet. Much of the recommendations on vitamin K are based on levels needed for proper blood clotting - which is likely insufficient for all of the other benefits of vitamin K (1). We are just now starting to appreciate the wide metabolic effects of vitamin K2 on not just blood clotting, but bone health, cardiovascular health, neurological health, cancer development, energy production, anti-aging & more. Age-related declines tend to be most felt in energy, cardiovascular, bone, and brain health. Vitamin K helps all four areas. Vitamin K2 and its variants like K2-7, also known as menaquinone-7 is involved in the activation (or “carboxylation” for nerdy types like me) of calcitonin and other vitamin K-dependent proteins like matrix Gla protein. I think of matrix GLA proteins as "mini-machines" that are turned on by vitamin K. Once turned on, matrix Gla protein grabs calcium. Vitamin K is like the ignition that turns the machine on - shielding the body from excess calcium. Otherwise, the calcium can deposit in the wrong places. Calcitonin is a protein that is also vitamin K-dependent. When acted on vitamin K, calcitonin prevents calcium resorption from the bone - promoting bone growth and mineralization. I remember its function by repeating the saying: “Calcitonin helps to put the bone in”. Vitamin K activates calcitonin and matrix Gla protein to help improve bone mineralization. By doing so, it also keeps calcium from building up in places you don’t want it - the arteries. As you increase the dose of Vitamin K2 above 100ug, the activation of calcitonin increases in line with the dosage (2). 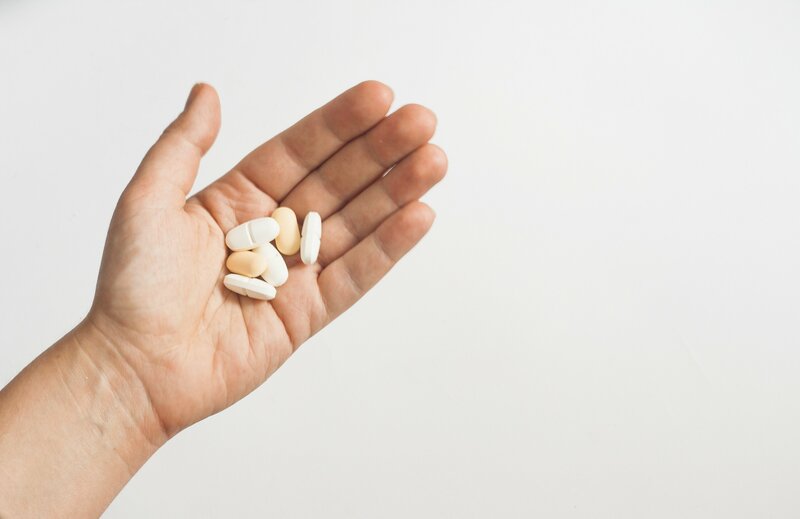 The increased action of calcitonin helps to increase bone health which is important for many Americans, most notably, the elderly, post-menopausal women, and other groups such as those with eating disorders, gut dysfunction, and more. Is calcium intake still important? You need to make sure that you have enough calcium intake, but adequate intake is arguably easy to acquire. Despite relatively high fracture rates, Americans actually have high levels of calcium intake due to dairy consumption. There are some reports showing that extra calcium intake in the form of supplements may actually cause more harm than good (3). For an in-depth discussion, I recommend reading The Calcium Paradox by Kate Rheume-Bleue which currently has 385+ raving reviews on Amazon. My take is that calcium intake is mostly okay for most Americans, it's the absorption (Vitamin D3) and utilization of it (Vitamin K) that are more of the problem! When I learned more about Vitamin K2, I realized that the story on calcium health is MUCH deeper than just focusing on calcium intake and Vitamin D. Once the calcium is absorbed properly from our food (with the help of Vitamin D), Vitamin K makes sure that calcium ends up in the right place. Most Americans are deficient in Vitamin D. We live and work indoors and our bodies crave some extra sun exposure. Even when we do get in the sun, we wear sunblock and clothing that may block our ability to produce enough vitamin D. This is why Vitamin D was the super-vitamin of the last 20 years - helping everything from bone and immune health to cancer prevention. We also learned that too much vitamin D can be harmful - but largely ignored the data because so many Americans were deficient in the first place. You can over-supplement with Vitamin D IF you are also deficient in Vitamin K2, particularly K2-7. Most Americans are deficient in Vitamin D and will benefit from improving their Vitamin D levels to the 30-45 ng/mL range without a mention of Vitamin K. Many vitamin D supporters have demonstrated further benefits at levels up to 80ng/mL and more. Once you get above 30-45 ng/mL, increasing levels of vitamin D can be harmful if you are insufficient in Vitamin K.
As vitamin D levels go above 40-45 ng/mL, that’s when vitamin K status becomes increasingly important to prevent Vitamin D toxicity. So if you’re going to take high doses of vitamin D, it’s likely very important that you ensure ample supply of Vitamin K too. Vitamin D toxicity is basically a result of extra calcium. With a lack of vitamin K, the extra calcium tends to find itself in the wrong places. All of the fat-soluble vitamins (A, D, E, & K) work with one another. A discussion about Vitamin D and K is not complete without a mention of Vitamin A or Vitamin E. A full discussion of Vitamins A, D & E are beyond the scope of this article. Chris Masterjohn, Ph.D. is a great resource for learning more about the dynamics of Vitamins A, D, E and K and fat metabolism. He has done a comprehensive job of covering these dynamics in all of its nerdy and scientific details. I mentioned earlier that vitamin K activates a "mini-machine" called Matrix Gla protein (MGA). In the presence of vitamin K, Matrix Gla protein blocks calcium from depositing on arterial walls (3; 4). Calcium in the arteries is BAD - and accounts for probably the number one cause of death - cardiovascular disease. Vitamin K2 activates matrix Gla protein and prevents calcium from building up in the arteries - which is the number one reason you should strongly consider vitamin K2 as an anti-aging vitamin. Under a microscope, arterial plaques can actually look a lot like calcium-rich bone scaffolding. Vitamin K helps stop or even reverse this process. Without proper vitamin K status, you may literally start laying down bone in your arteries. The vessels stiffen and you increase your risk for atherosclerosis (and risk of heart attack and stroke). Cardiovascular health usually is linked closely to the health of the brain, nerves, and kidneys which suggests an enormous need for adequate Vitamin K for healthy aging. A 2015 study showed the K2 supplementation at 180ug per day over 3 years improved measures of arterial stiffness in post-menopausal women (5). The VitaK-CAC study is a double-blind randomized controlled trial that is set to be completed in 2017. The hypothesis being studied is whether K2 supplementation will slow down or stop the progression of coronary artery calcification over a period of 1-2 years (6). When the media jumps on the results - you’ll know that you heard about Vitamin K here first! As many as 50% of Americans die from heart disease alone. Vitamin K2’s ability to manage calcium could save the lives of MANY Americans - simply with K2's effects on calcium and cardiovascular health. Because K2 has been associated with decreased arterial stiffness, it also increases cardiac output which allows the heart to pump blood more efficiently with each heartbeat. This may improve endurance - but generally is associated with better oxygen delivery to your heart, brain, and body. 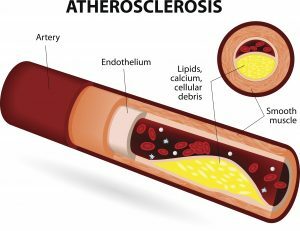 If Vitamin K2 is confirmed to able to slow or reverse calcium deposits in the arteries, that will also physically clean the vessels out, improve blood flow, and reduce the risk of arterial tears and strokes. Vitamin K2 also boosts your ability to produce energy from your mitochondria. Mitochondria are "little batteries" scattered throughout your entire body - but happen to be most prevalent in muscle (including the heart) and nerves (including the brain). Vitamin K helps to prevent damage to your "little batteries" and may help them regenerate faster. There is early work suggesting that Vitamin K can improve metabolic factors in rheumatoid arthritis (8; 9). Vitamin K also helps improve bone mineralization and generally may decrease arthritic and osteoporotic changes that lead to inflammation. A 2014 article in the Journal of Nutrition showed that Vitamin K1 and K2 intake levels were associated with decreased risk of cancer as well as cardiovascular disease and all-cause mortality (10). A protective role of vitamin K and prostate cancer tends to be the most well-supported association with a proposed risk reduction as high as 35% (11)! Anti-cancer mechanisms have been suggested by other researchers to be antioxidant and anti-inflammatory in nature, but also by helping to trigger the death of cancer cells (cancer cells "learn" how to stay alive longer than they should) (12), and by promoting the expression of healthy genes (13). It's worth noting that protecting your "little batteries" (mitochondria) may also reduce cancer risk. Vitamin K2 is directly involved in energy formation and protection from oxidative stress in the mitochondria. Diabetes often leads to inflammation of the blood vessel walls that can be followed by plaque formation - leading to cardiovascular disease, tissue injury, inadequate blood flow and more. Vitamin K2 also increases insulin sensitivity through secondary benefits of calcitonin (14). The mechanism by how calcitonin improves insulin resistance is not yet fully understood. Calcitonin is known to promote more than just healthy bones. K2-7 (menaquinone K2-7) is the best form of vitamin K to activate calcitonin. When deficient in vitamin K, under-activation of calcitonin is bad. But when you have enough vitamin K, after calcitonin is free from its bone duties, it's able to exert metabolic benefits that can improve how the body handles sugar. Insulin resistance negatively affects the kidneys as excess sugar is flushed out of the body through the urine - causing damage to tissues along its path. The first cause of death for those with kidney disease is actually cardiovascular mortality (15). By reducing cardiovascular risk, kidney health improves. The kidneys filter the blood largely through specialized arteries. If calcification or stiffening develops in the arterial supply - kidney function can be altered. K2 improves blood flow, decreases arterial calcification, and improves insulin resistance - thereby improving kidney health each step of the way. The brain is rich with blood flow - many neurodegenerative changes in the brain can be linked with altered blood flow and nutrient delivery, as well as waste removal through the tiniest of vessels. In addition to its pro-circulatory and anti-inflammatory benefits, vitamin K provides some functions that promote healthy membrane structure in the brain. It also may help protect the brain against oxidative stress (16). Energy production is important for the brain, and vitamin K may independently help to produce energy. Cardiovascular disease can cause fatal strokes when clots, calcifications, or tears occur in the direct blood supply to the brain. Reduce risk of all by consuming sufficient vitamin K2. Vitamin K2 is chemically known as menaQUINONE, which sounds a little like UbiQUINONE. We know ubiquinone as a form of Coenzyme Q10. Vitamin K2 can independently act as a "little battery" in itself - therefore boosting the energy efficiency of all of your cells - especially those found in the heart and brain. I find this so important that I take an expensive 500mg dose of coenzyme Q10 every day. I remember being at a medical conference and hearing a speaker answer the question: How much Coenzyme Q10 should I take?, the doctor responded: As much as you can afford. Those little batteries are important! In addition to CoQ10, I take K2-7. I want to protect my "little batteries" against sugar, toxins, pesticides, food allergies and hidden infections! Bacteria produce K2 because it helps them produce energy like coenzyme Q10 does for us (17). It is possible that we use some of the components of menaquinone to help us produce coenzyme Q10 and therefore help boost antioxidant health and energy production at the cellular level. Like CoQ10, K2 may also help us to get even more energy production out of each of our cells. At the very least, K2 may help absorb oxidative stressors as a capable electron carrier (18) which by itself is a powerful anti-aging mechanism. It is this oxidative stress to our "little batteries" that is a central theory on why we age! Americans are largely deficient in vitamin K2 and as such are at higher risk for poor bone health and heart disease, independent of their calcium or cholesterol intake. While it is likely most beneficial to consume a mix of K1, K2-4, K2-7, and some other versions of vitamin K. Vitamin K2-7 is the most bioavailable (19; 20) and is more capable of meeting needs outside of the liver, especially when it comes to the activation of calcitonin. K2-7 stays in the body for 24 hours or longer, which is more advantageous than other forms of K2, as needs for K2 arise 24 hours a day. Only K2-7 assures available K2 supply for the entire day. Other forms of vitamin K are grabbed by the liver, or do not circulate long enough in the blood to provide 24-hour support. K2-7 is largely produced by Natto - which is largely nonexistent in American diets. K2-7 has a higher likelihood of being deficient than other forms. Other vitamin K types are found in dark leafy greens as well as fermented cheeses which tend to be more prevalent in American diets - whereas K2-7 largely needs to be consumed via Natto consumption or direct K2 supplementation. K2-7 is now one of the new "super-vitamins". I take it myself and one that I recommend to my clients. 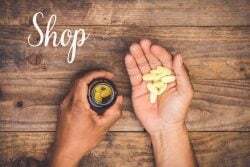 While there are many products available and you should find out which supplement is best for you and your circumstances (ESPECIALLY if you are on blood thinning medications or have a history of blood coagulation issues).